Robots will soon assist caregivers and authorities in numerous areas. These robots can, for example, be used to get an aerial overview at accident sites, for drug searches in harbours, or to help fight large fires. Robots also offer possibilities to help increase security in prisons or at airports. 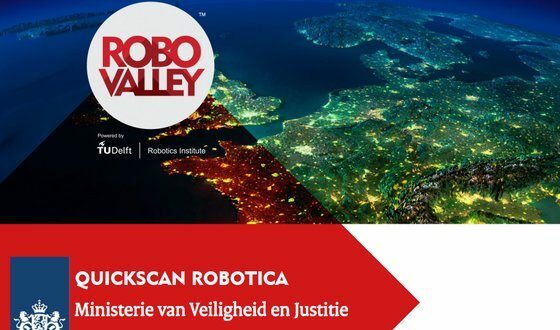 RoboValley has explored a vast amount of robotics solutions for the Ministry of Security and Justice, to be used by police, firefighters, prisons and disaster relief. Click here to download the quick scan (in Dutch).